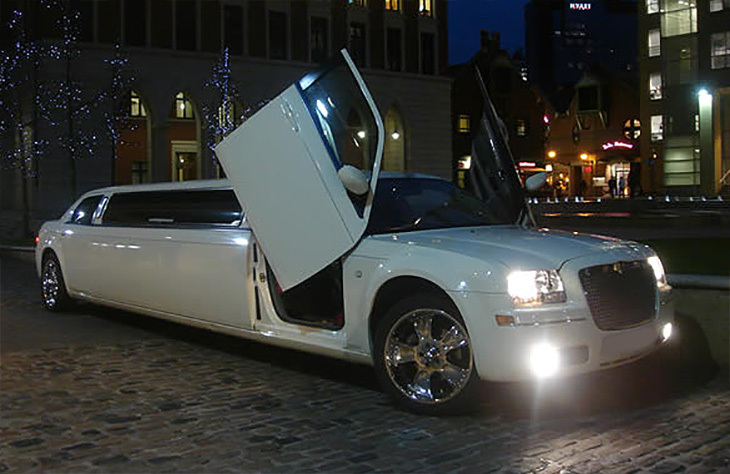 The Chrysler 300 aka baby Bentley is the new style spectacular limousine. 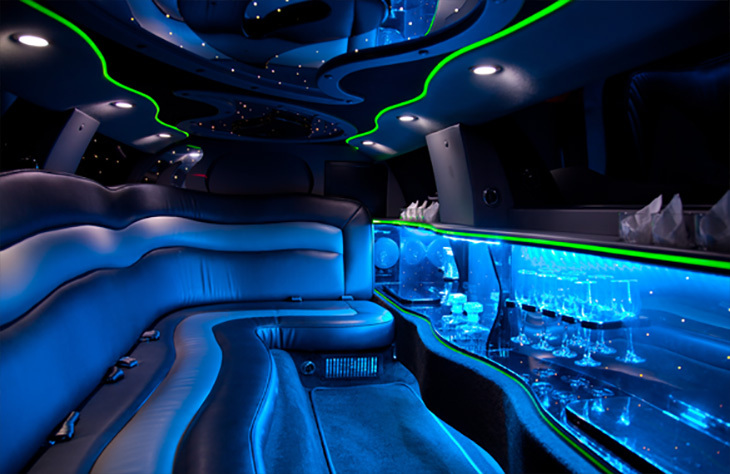 It is designed for comfort and for travelling in luxury. The vanilla finish is perfect for any special occasion. 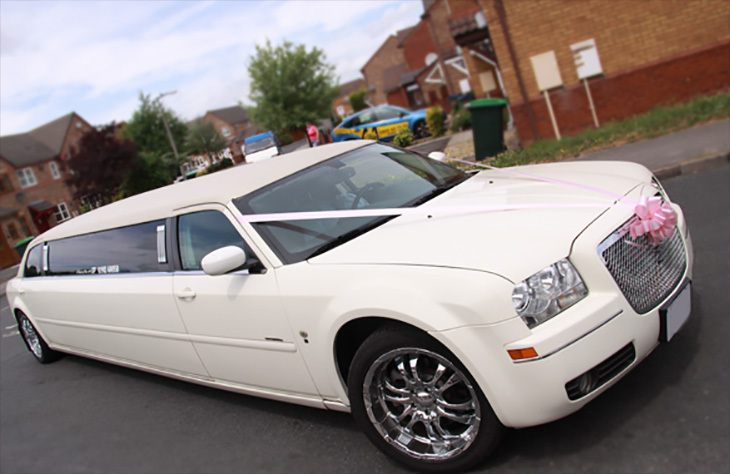 This elegant limousine is finished in vanilla which is an ideal colour to match most wedding scheme colours. 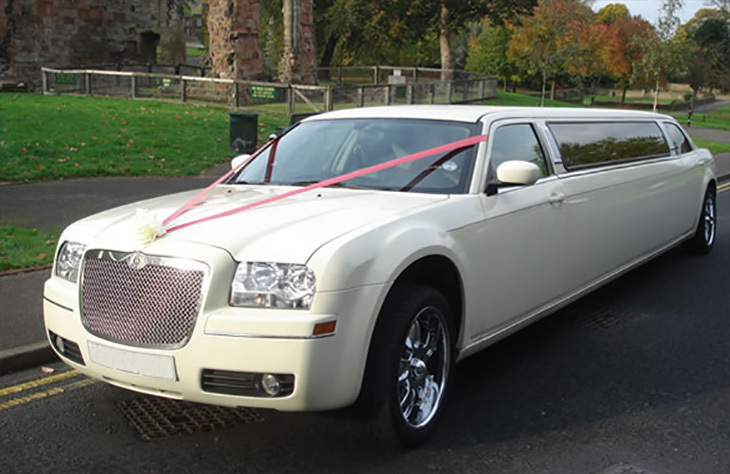 Each hire comes with complimentary bubbly and the limo comes decorated with ribbons and bows again matching in colour with your scheme.